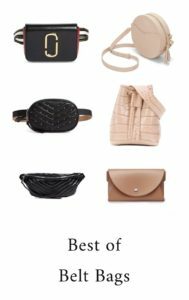 Best Belt Bags: from luxury bum bag to affordable stylish fanny pack: the belt bag comes back! Have you seen the huge come back of the belt bag? Worn by celebrities and fashion bloggers, the belt purse is currently a fashion statement piece! 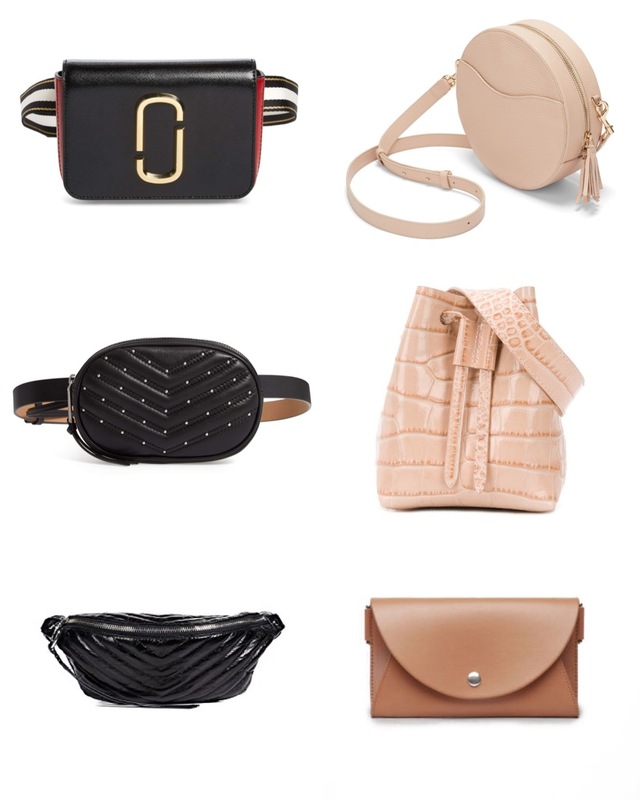 Steve Madden and Aldo released a quilted belt bag pretty much inspired by the Gucci Marmon belt bags. Other fast fashion houses have released very stylish versions of the fanny pack for less than $100. 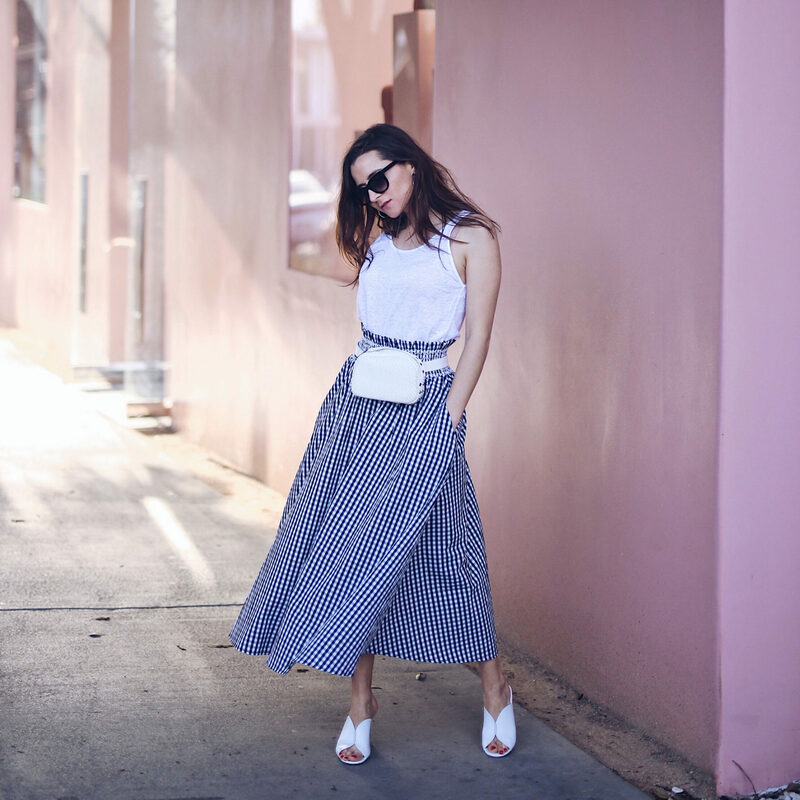 I love to wear a belt bag with a maxi skirt or with a jumpsuit. I feel like it structures the silhouette. It is also very convenient to wear it with a market bag or mesh bag. 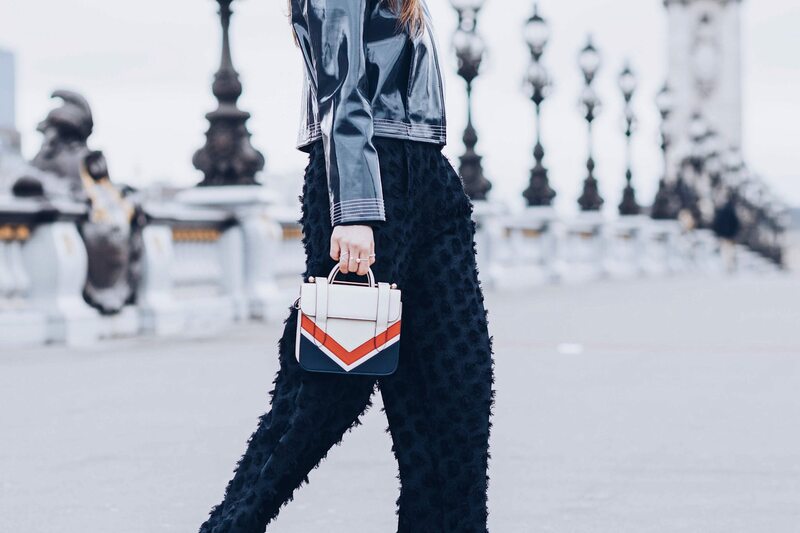 I love to see it over a jacket (check here how La Georgienne styled the vintage belt bag). Tee and Belt bag by Rebecca Minkoff / Denim: GrlFrnd Denim Karolina High Rise / Sunglasses similar here. Jayme Belt bag by Mackage (out of stock) / Sweater and skirt And Other Stories. Bike shorts: Boohoo, Belt Bag: Clove and revel (available in yellow, pink and gray), sunglasses Krewe x Reformation. Love the white beltbag! Great post!! X C.
Oh I love both belt bags! That white one is super pretty, and i love how you styled that black one with the jumpsuit. I have been totally unsure about this trend until now! You are absolutely killing it I LOVE how you styled the bags!! I am loving this belt bag trend babe!! It is so chic, and convenient! Love how you styled it. It looks awesome and chic on you but I don’t think I could pull them off without making them look like a touristy fanny pack haha! I’m loving these belt bags!! I love the jumpsuit combo! Those bags are absolutely gorgeous. And I love that they free up ones hands, so convenient.